Very moving Officer Lowrey. Great job. Congratulations! We are so proud of you...you are an awesome dad and husband! 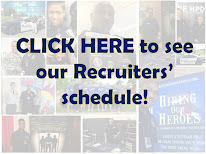 We know that you will be an awesome police officer too! Your dedication and commitment always proves to make you the best at whatever you do! Many are proud of Officer Lowrey. No doubt he will make a positive difference in many peoples' lives. Thank you Officer Lowrey and class 204 for the decision to make to make Houston safer and better. Wow! Now you have Crime Stoppers following your blog! Way to go, Officer McCoy! Folks like Officer Lowrey are one of the reasons why they are called "Houston's finest." God's blessing to all in Class 204, and as written before, go do us proud! Officer Lowrey said all the things I feel about the will to serve! No one seems to understand this except those who have it in their heart. 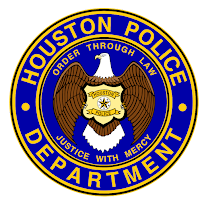 I can't wait to be part of Houston's finest!!!! CONGRATULATIONS PAUL FOR ALL YOUR HARD WORK, WE ARE PROUD OF YOU!